Drs. Gerard Chiche and Eladio DeLeon. Photo by Phil Jones. 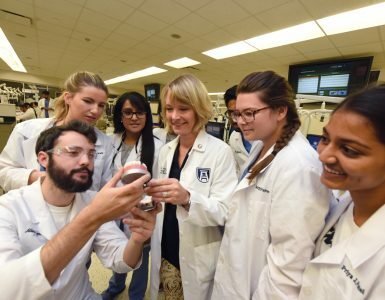 It’s with a wink and a smile that Dr. Eladio DeLeon likens his mission to that of a historical figure who shares his name. 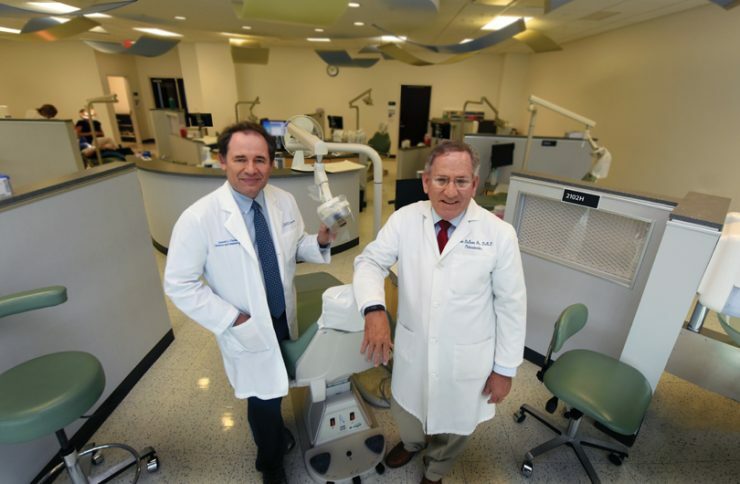 He and his colleagues can’t exactly turn back the clock, but it sure looks that way when they display the jaw-dropping before-and-after photographs of patients treated in DCG’s Ronald Goldstein Center for Esthetic and Implant Dentistry. 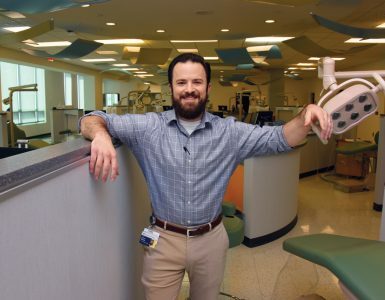 The center, directed by Dr. Gerard Chiche, combines prosthodontics with orthodontics, ceramics, oral surgery, periodontics and any other dental specialties needed to help adults regain smiles ravaged by decay, trauma or other factors. 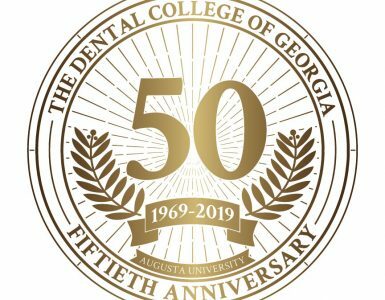 DeLeon concurs, noting that lots of work unfolds in the gums and bone to preserve and position existing teeth, enabling them to serve as solid foundations for the pearly whites presented to the world. Says DeLeon, “The teeth are like fence pegs. I have to put the pegs in the right spots.” When orthodontia is necessary, clear braces are usually an option for adults who want to avoid a metal-mouth appearance. The entire process often lasts two years or so, enabling patients to become “like family,” the dentists agree.